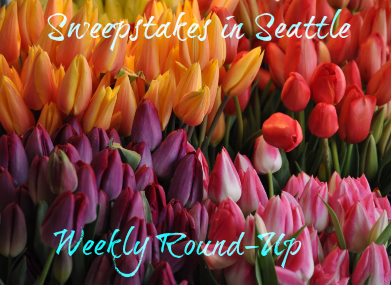 Sweepstakes in Seattle Weekly Round-Up 4/15 – Win $10,000, a cruise to Mexico, gift cards & more! It’s good to be back with a new weekly round-up. Life has been busy at my house! My son celebrated his 17th birthday on April 1st. That was a crazy day! Easter, April Fool’s and a birthday all on the same day. I think I’m still tired from all the celebrating! Right now, there’s a pretty good sized list of IWGs – I hope you’ve entering those daily. There are some fantastic prizes – money, trips, cruises and gift cards!Let me know if you won a prize recently and I’ll share it on the next weekly round-up! No winners to report at this time.